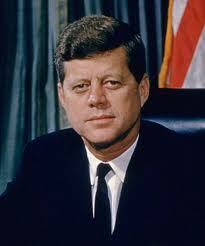 Fifty years ago today, on January 17, 1962, President John F. Kennedy signed Executive Order 10988. That act helped change the course of American labor history by offering most federal workers the opportunity to form unions and bargain collectively for the first time. At that point, few workers at any level of government had yet gotten their employers to accept collective bargaining. Wisconsin, the first state to enact a state level law that gave goverment workers the right to bargain, had not done so until 1959. Kennedy's action built on the Wisconsin precedent, and similar precedents set at the municipal level in New York City and Philadelphia. Most states and localities had been reluctant to follow the example of these jurisdictions -- that is, until the federal government acted. Although it applied only to federal workers, Kennedy's order helped break a log jam in states and localities around the country. Soon more than half of the states followed Wisconsin's example, and city after city emulated New York and Philadelphia. The largest wave of unionization in the postwar years--the organization of public sector workers--was suddenly underway. The Kennedy order has often been portrayed as a reward to organized labor, a quid pro quo offered by the president in return for labor's support in his narrow election victory over Richard M. Nixon in 1960. As I show in Collision Course, this portrayal of the Kennedy order is filled with distortions. In many ways the order fell far short of what the labor movement wanted (it did not give unions the right to bargain over wages and benefits, as some legislation being considered by the Congress would have done). Indeed, labor's key negotiators felt sold out by the wording of the Kennedy order, which did not even mention "collective bargaining." 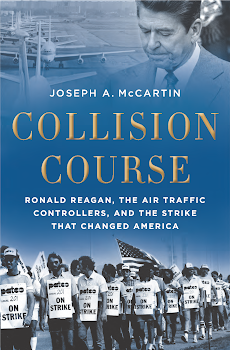 The defects of the order would create severe problems for one group of federal workers who tried to organize in the early 1960s, air traffic controllers. The lack of strong protections in the order forced the controllers to become increasingly militant and to form their own independent union, PATCO, in an effort to surmount the problems they faced trying to get the government to listen to them. Its glaring defects notwithstanding, the Kennedy order still represented a huge advance over what preceded it. And it is worth remembering on this anniversary. Today in the Los Angeles Times I have an editorial considering the significance of this landmark event in U.S. labor history. You can read my editorial in full here.